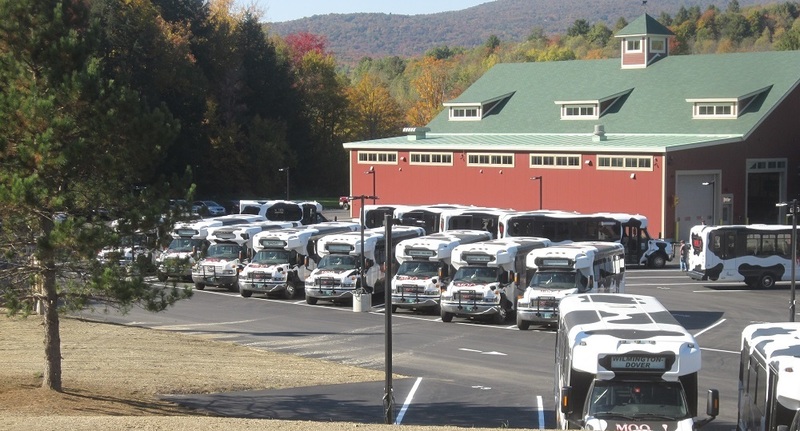 According to their website (https://www.moover.com/) the MOOver is known as the best resort community transit system in Vermont. Their trademark buses sport a Holstein motif, making the MOOver easy to “spot” and fun to ride. The MOOver is free, and last year provided 290,867 rides. The agency provides year-round deviated fixed route and demand-response services. These buses needed to look good in all kinds of weather, so a wash bay was designed into the maintenance facility. Working closely with Westmatic, SEVT selected a 3-Brush Rollover large vehicle wash system. 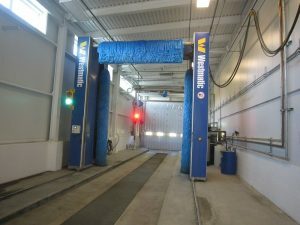 This rollover/gantry machine thoroughly washes the vehicle using a top horizontal brush, and two vertical side brushes. The brushes intelligently wash around mirrors and other vehicle protrusions which is important because the MOOvers are equipped with front mounted bicycle racks and rear mounted ski racks. 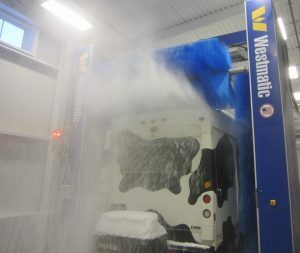 To keep the buses clean in all kinds of weather, the Westmatic wash system was equipped with a high-pressure chassis wash, high-pressure wheel wash with side spray and a high-pressure touchless arch. To conserve water usage, design engineers also specified a Westmatic a water recycling system. Later, the agency added several components including a high-pressure arch and rinse aid injection system. “We love our Westmatic system. Ever since we installed a rinse agent our vehicle exteriors are smooth and protected against the winter elements. Recycling 75% of our water is saving energy and money. Our 25 buses will last longer and look better thanks to Westmatic” states Randy Schoonmaker, CEO SEVT.